This week has been one of the slowest weeks ever, whilst simultaneously also absolutely flown by. It's been my penultimate week at home for the holidays and it's fair to say I've been making the most of it. I've done a lot of lounging around, even more eating and a fair amount of Peaky Blinders watching. Which, can I just say, I am absolutely loving at the moment. I've just finished season 3 and I'm hooked, no spoilers please. In terms of doing actual interesting things, I haven't got much to report. Easter Sunday was a really nice day spent with my fam. We had roast lamb and alllllll the trimmings, and it was A1. I've only ever made one roast dinner since being at uni, and being at home has really made me realise how much I miss them, so it's something I'm gonna need to get into the habit of making. Even if it takes a long time and involves a hella lot of washing up after. So, I bought an absolute marmite item this week; these white boots. I personally really love them, but the response from my family and some of my friends hasn't been quite as receptive. I'm currently trying to change up my style and wear things that aren't quite my usual, and these seemed like the ideal starting place. I bought quite a few other pieces whilst shopping with my sister - including a pair of sock boots I bought for £1 (yep, a quid!!) - they'll be in a post this week if you're interested. We had a TGI's for lunch this week and I don't think I'll ever get bored of the Jack Daniels Sesame Chicken Strips. I genuinely think I could eat them for the rest of my life. So, TGI's if you're reading, hit me up hun. Also, can I just say that the weather has been so nice the last few days and has got me so in the mood for summer. I received my exam timetable for this semester and I should be done with second year by the start of June, woop woop. Here's to summer plans, hey? A twenty year old Psychology student based in Southampton who has been known to cook herself a pizza for breakfast. 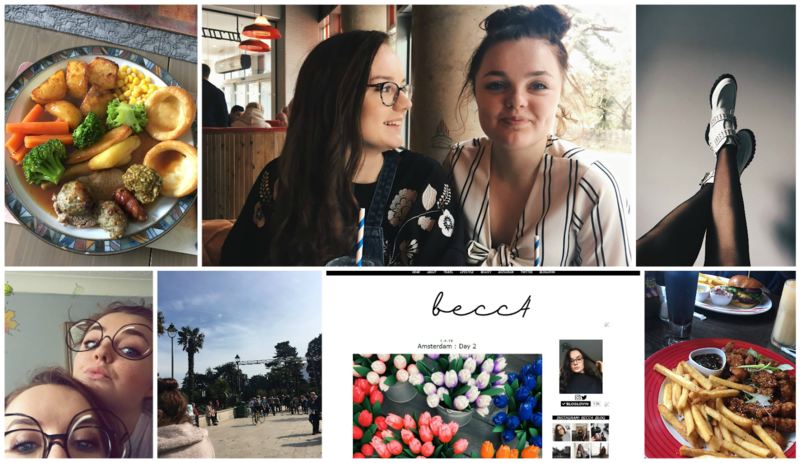 © BECC4 / A Lifestyle Blog on the South Coast. Design by FCD.